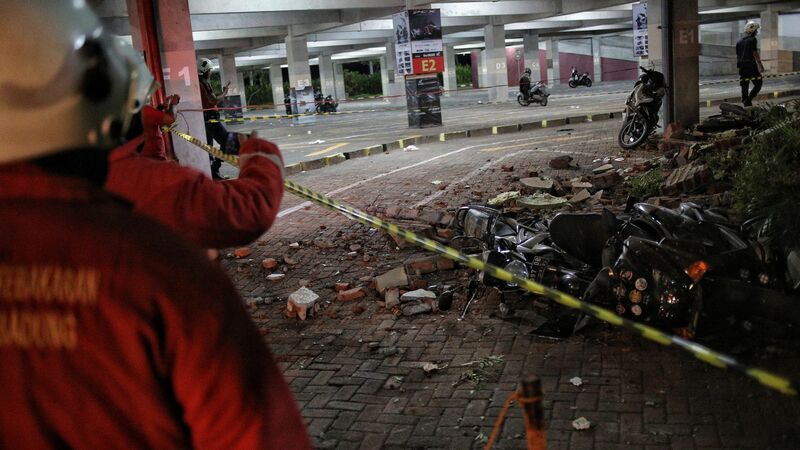 A 6.9 magnitude earthquake struck the Indonesian island of Lombok on Sunday, killing at least 82 people, reports CNN. The details: Arifin Muhammad Hadi, head of disaster management of the Indonesian Red Cross Society, reportedly said hundreds have been taken to local hospitals and that thousands of homes have been damaged. The quake injured more than 50 and caused significant damage to buildings and the power grid — exactly one week after a 6.4 magnitude earthquake killed at least 16 on the same island.